Last month, WeddingWire CMO, Sonny Ganguly, and I presented a webinar called “How to Make Blogging Work for You.” During the webinar, we discussed how blogging can be a great way to share your expertise and bring more potential clients to your site and business. We know, we know – starting (and maintaining!) a blog isn’t easy. It’s a commitment. You’re a wedding and events Pro, not a writer! While I can’t really assist you with the first problem, I have two recommendations: plan your blog post topics ahead of time to make it easier to get started on each post, and also find time to schedule weekly “blogging time,” just like you schedule any important weekly meeting. I’ll use this post to try to help you embrace your inner writer by providing insights on how to use your event industry expertise and passion and harness it into perfecting your blogging voice! Create Topics in Advance: Instead of spending your designated “writing time” trying to come up with ideas, set aside an hour or two each month to brainstorm a bunch of ideas that you can use throughout the month. If you have a staff, get your whole team onboard to help. Having the ideas set in advance will save time and make writing posts quicker and less stressful. Got writer’s blog? Check out this post for some good blog post prompts. 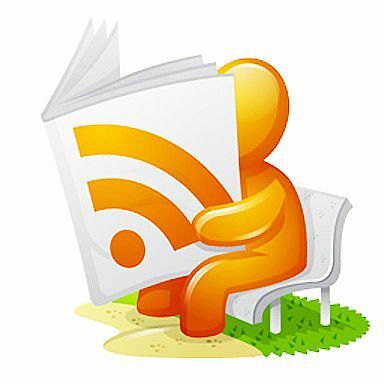 Read Who You Know: Sure, you may have an RSS feed full of blogs that you read on a daily basis. However, in order to translate your voice to a blog, it’s a good idea to read the blogs of other Pros you know well. Compare their written voice to their spoken voice. Think about what you do and don’t like about these blogs, and get inspired for your own. Consider Your Audience: Is your blog geared toward engaged couples? Other wedding Pros? Both? Make sure your writing is clear and understandable for your audience. If your post is for engaged couples, be sure to put everything in layman’s terms, or explain what an insider-y word or phrase means. You want your readers to connect with you and feel at ease, instead of needing a dictionary to understand what you’re saying. Don’t Write a Press Release: Obviously, you want your blog to showcase your business and what a fantastic wedding Pro you are. But you don’t want it to sound like you’re tooting your own horn. So instead of writing “X Wedding Venue has the best catering in Florida,” show your readers photos of your fabulous food, and explain to them what goes into creating the menu for a wedding. Sure, that requires a bit more work on your part, but the result will be a more authentic and impressive blog that readers enjoy and keep coming back to. Find an “Editor”: No, I don’t mean actually hiring a copy editor. But, it’s a good idea to have an eagle-eyed friend or family member read your posts before you set them live. Aside from looking for spelling and grammatical errors, your “editor” can also alert you if your posts are sounding too PR-ish or just generally not in your voice. Use Photos: It’s a fact that blogs with lots of great photos are more popular than those without. Big, beautiful photos can be a great starting off point for text and can help simplify and streamline your blog. A post doesn’t have to have a lot of text – an appealing photo with a well-written, succinct caption can be quite successful. Blogs with images get more traffic than those without! Show Your Passion: If you don’t care about it, don’t write about it. Your love for your craft should shine through in your blog. Even if you’re not the best technical writer, passionate prose can mask any grammatical or spelling errors and help readers connect with you. Think of a blog as another way to share your expertise and talents! Think SEO, But Don’t Let it Control You: We’ve discussed the importance of making your website and blog SEO-friendly time and again. I’m going to go against the grain a bit and advise you not to focus too much on SEO when writing. Yes, it’s important to use SEO best practices when brainstorming topics and writing, but if there’s something you want to write about that’s not the best SEO-wise – go for it! Don’t let SEO stifle your creativity, your voice, and your style. Keep Going: Remember this: It takes time for a blog to develop a following and traction. Don’t get discouraged if your first posts aren’t widely read or well received. One of the worst things is when a wedding Pro gives up a blog after just a few posts. Keep writing and posting regularly, keep honing your voice – don’t give up!